Established in 2010, we have rapidly grown across this great nation with offices located in New York, Washington State, Montana, Minnesota, South Dakota, Hawaii and of course Florida. We have the ability to provide and support all of our products and merchant services nationwide. For more information on our merchant services call us toll-free at (800) 368-9246 and one of our friendly and knowledgeable customer service representatives can answer any and all questions you might have. Our clients are never led through an endless loop of menu choices when they call for support, but are instead connected with a live, experienced support specialist who has the ability to resolve most issues on the first call. With Complete Merchant Services it's the service after the sale that sets us apart. Our goal is to establish long term successful relationships with our merchants by providing only credit card merchant account services that represent their best interests, both now and well into the future. We at Merchant Services Network perform as consultants in order to educate our merchants. We offer economical solutions that are proven to increase your bottom-line profits. 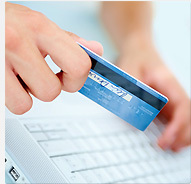 We are a complete merchant service provider for all of your credit card service and electronic payment needs. Our company offers outstanding customer support. We offer helpful personal attention to all of our merchants by providing live customer service and support. CompleteMerchantServices.com is a registered ISO of Wells Fargo Bank, N.A., Concord, CA.